BOGO Sale at Muscle and Strength. Buy one get one free sale on the PROSUPPS Mr.Hyde NITROX Black lets you grab 2 tubs (30s each) for $32. Deal Categories: Coupons and Pre Workout Products.Stores: MuscleForce. 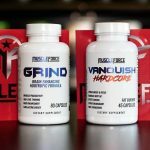 to snag an extra 20% OFF any order on the MuscleForce website. 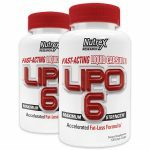 Supplement Hunt is offering 2 x 120 Capsules Nutrex Lipo6 Maximum Strength for $17.99. This is the best total price we saw by $32.